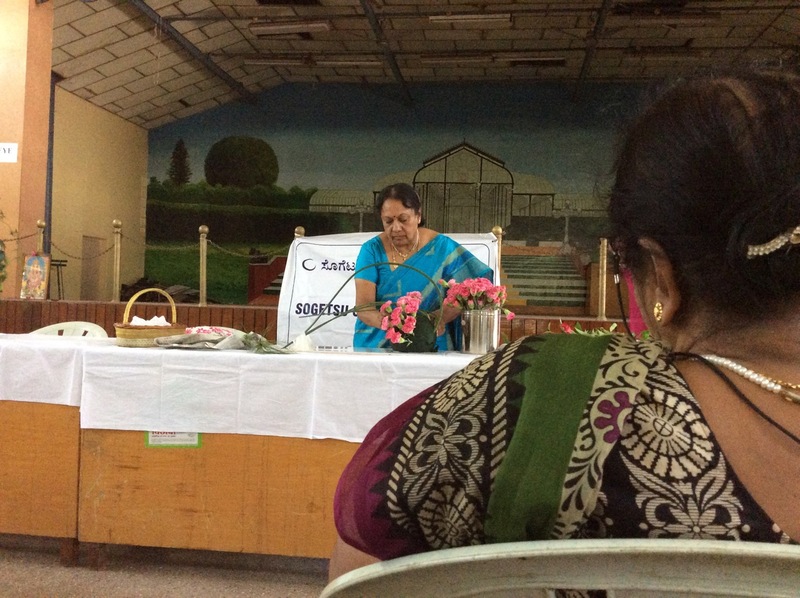 Mrs. Reddy demonstrating Dutch flower arrangements at the Bengaluru Sogetsu Chapter meeting in May this year. 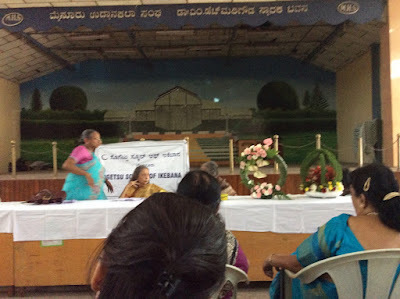 Also present on the Dias Chapter President Mrs. Leela Venkatadri. 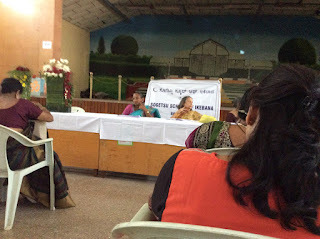 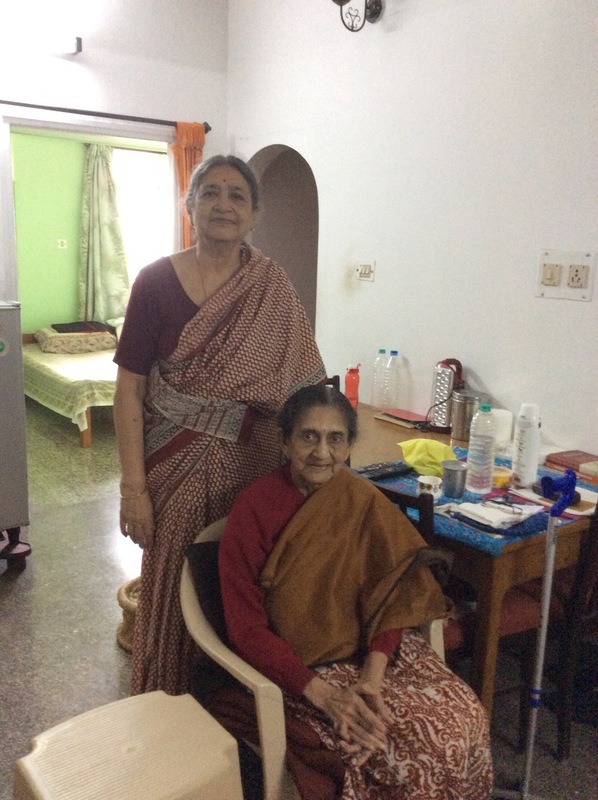 Malathi met her teacher Mrs. Uma Rao in Bengaluru, a picture of both of them. 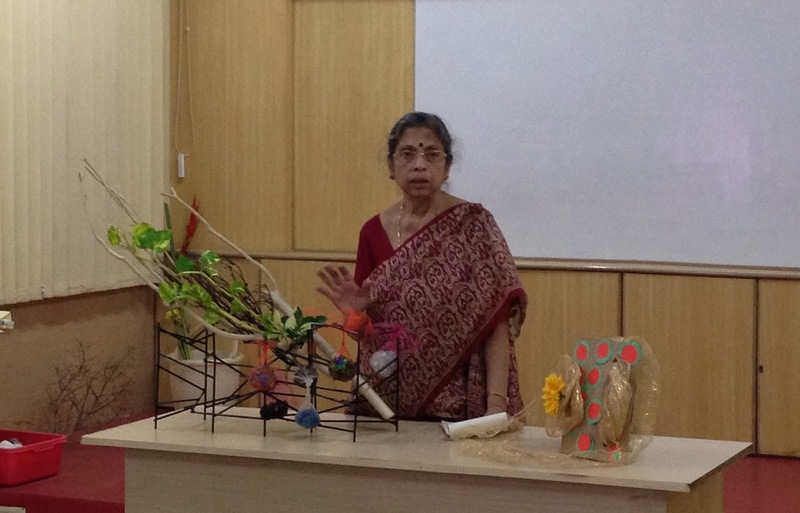 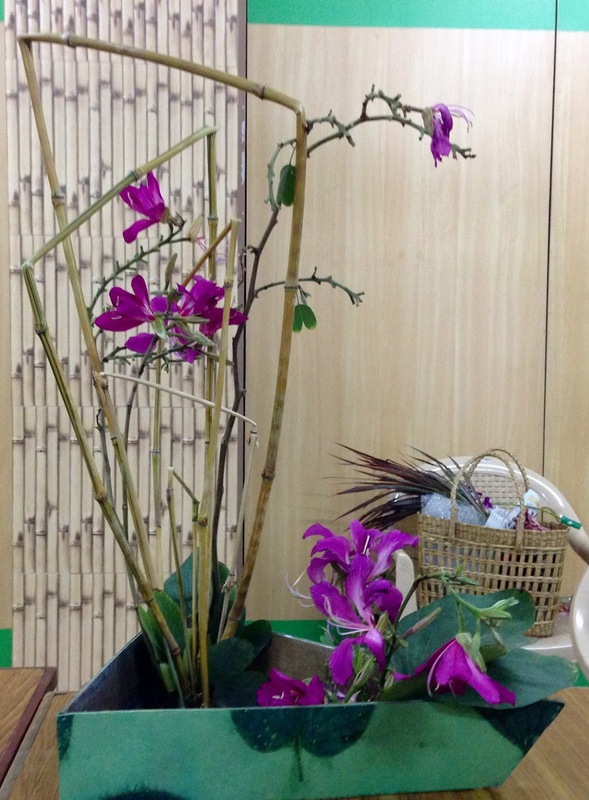 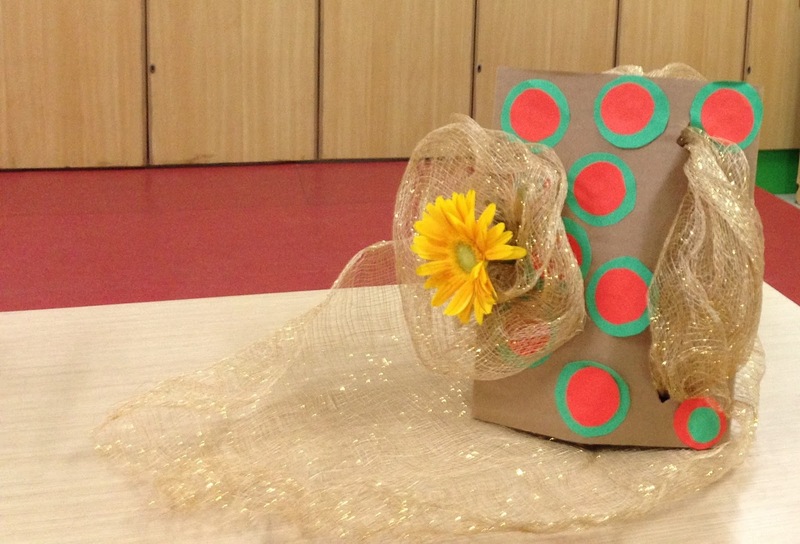 Our sensei Mrs Padma Swaminathan conducted the March workshop, where she opened our minds to abstract creations. 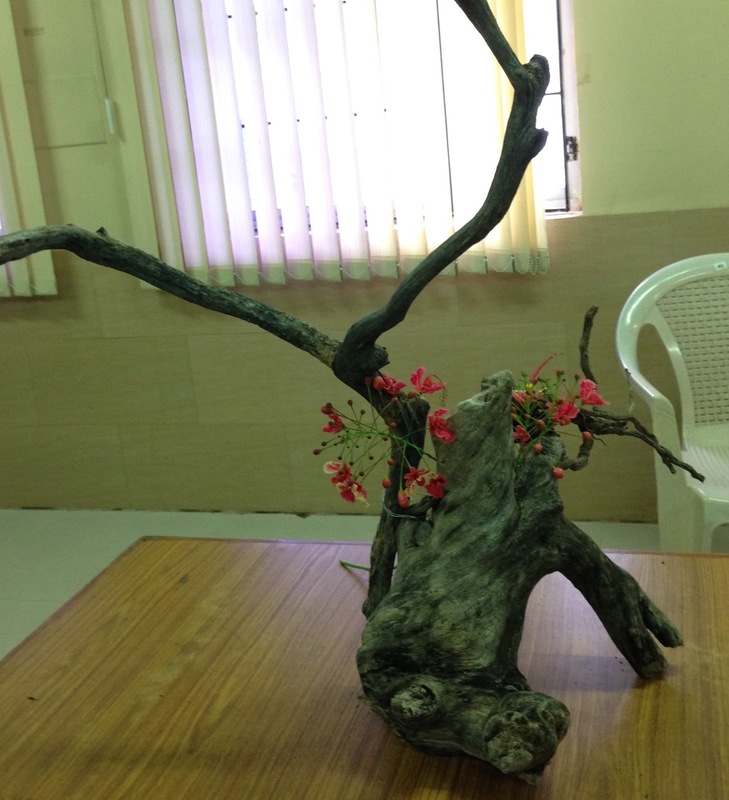 It was an interesting departure for us all, so used to naturalistic interpretations. Padma sensei recalled her Japanese teacher's remarks as to how to remove the naturalness from the material and look at it with "fresh" eyes. 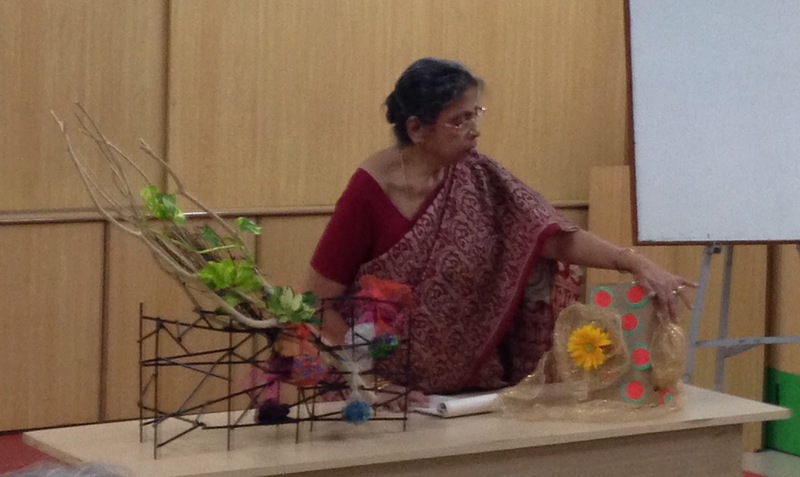 That is the secret of good abstract compositions, and they become art, rather than a craft or skill. Bhuvana - the pink bricks and the green reminiscent of a park bench? 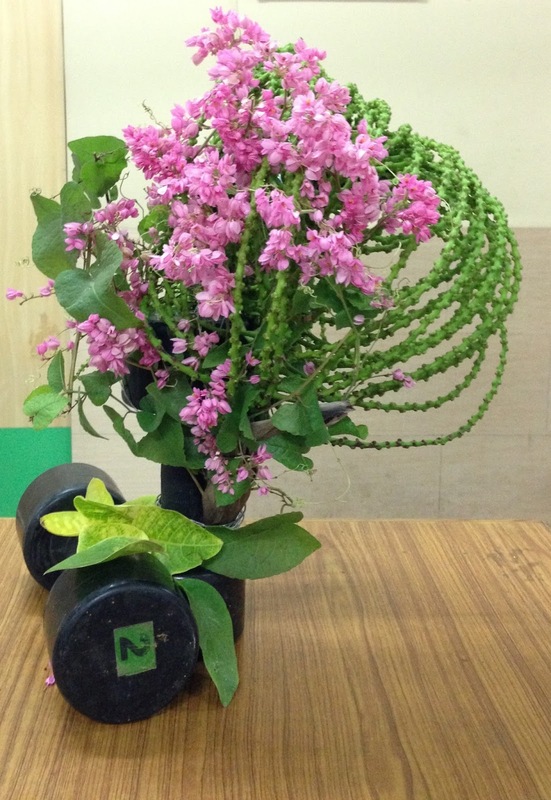 Chitra's creation with a dumbbell! 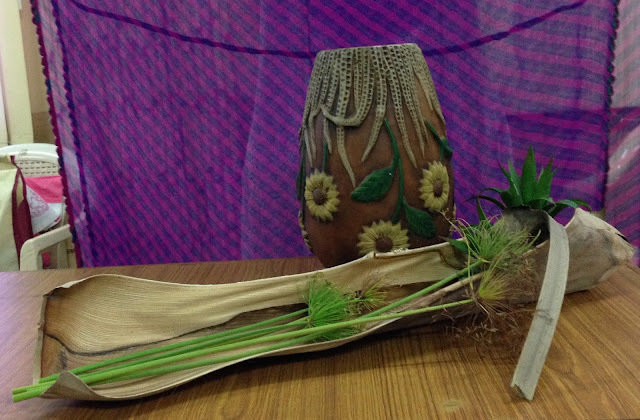 Divya Varma echoed the colour and lines of the vase in the material below.